This is a quote from one of my very favorite plays – The Shape of Things by Neil Labute. The entire play (and the movie) is a take down of shallowness and shock art. The character Adam screams this at his girlfriend after he finds out about the subject of her MFA thesis. I’m not a big fan of shock art. It’s always seemed a little juvenile to me. The great thing about shocking art, however, is that it gets people’s attention when nothing else will. Whether the artist is making a statement about the corruption of religion, about genocide in Darfur, or simply about American pop culture, art has the ability to slap people in the face and wake them up, lull them into a sense of peace and tranquility, or inspire them to take up arms and march to war. One thing you will notice about many best selling artists: they have something to say. Look at this thing. I’m not saying that you need to go have a great white shark killed and preserved in order to be successful as an artist. Obviously that’s not true. Now, the truth of the matter is that on top of Hirst having something to say, he also had the help of art world heavyweights like Charles Saatchi to make him famous. He also has a bunch of employees, and a certain amount of business acumen. Even if your art is nothing like Hirst’s, you can still learn from his business savvy and from this fact – he also works in series. From a marketing standpoint, working in a series is huge plus. You can send different pictures to different people to tell different parts of the story. The deep thought that you put into the series gives you a chance to consider what the most effective message might be. 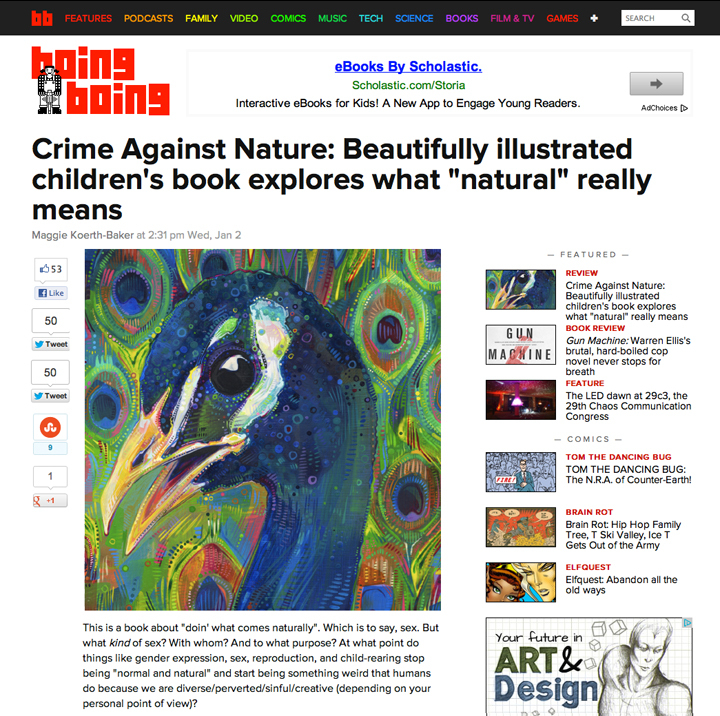 Gwenn’s a pro at what she does, and she also has a book about marketing art. Hopefully by now you can see that putting your passion into your art, with an eye toward how you will communicate your ideas in the future, is a powerful way of communicating your ideas. I mentioned in my previous post that this year’s teaching is going to center around helping artists get clear on the principles of good marketing – finding your target collectors and reaching them on an emotional level. This is the second post in that series. FYI, in February and March, we will also be doing a live course on these topics where we go in-depth on how to make these kinds of experiences for your own collectors. Find out more about it in the upcoming webinar. Yup, I have a handful of series that I work on. Perhaps the biggest benefits are 1) it makes the “what the heck do I next?” question a lot easier, and 2) there’s a built-in audience for the next pieces. It’s a lot easier to build a fanbase if those fans have an inkling of what you’re about, and can look forward to what’s coming. So so sorry I missed it! I could not subscribe a few days ago (I heard about your webinar from the wonderful Luz) and now it’s too late. Any chance of a re-play? thank you! Ioana – here you go. In regards to painting in a series, is there an appropriate “cut off” for when a series should end, or can it be an ongoing process that you can leave and come back to? I’m in the earliest stages of trying to turn my work into a profession, and am still building a current body of work. I know that painting with an eye toward themes/series is ideal, and have been working to do so. That said, I do get a little tired of any one particular theme, and like to change drastically for a painting or two. When I get to the point where I’m putting my work out there, is it fairly typical to introduce— say— two series, and add to them intermittently? Or is it more ideal to complete a series before moving on to another? What about revisiting a series down the road? Maybe there’s no right answer… just things I’ve been tossing around. Great question Megan. I would say that it’s fine to create paintings outside of the series you’re working on – just don’t try to sell them at the same time you’re trying to sell your series. Creating for yourself is an important part of your growth as an artist. Really? 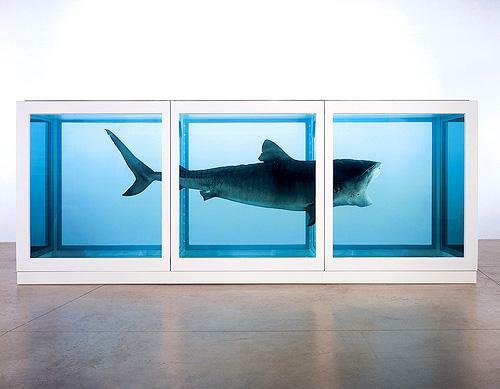 Damien Hirst is the best example you could come up with? Oh, sure, he’s big and successful and all, and as you say, works in series. If you’re going to use hack artists to exemplify great business acumen you should be extolling the virtues of Thomas Kinkade. Perhaps you didn’t actually read the article. I referenced the themes of a half dozen different artists who are successfully creating and selling their art. This is an awesome point that I have been thinking about recently. I think this is especially true if you seeking solo or feature exhibition opportunities. I love reading a lot of your articles on here Cory! Keep em coming! I’m not so sure that working in series is all that important. I used to think this but I’ve come to believe it’s more of an academic system that galleries like to encourage so that they can get a handle on how to sell their artist’s work to buyers. It tends to suit the gallery selling cycle. eg, most galleries have about 30-ish artists, each artist gets a 2 week show per year. Every year the artist comes out with a new series, slowly evolving his whatever which keeps all of the gallery artists neat and tidy for the gallery. Series is also a way for artists to appear serious and homogenous inside, which i doubt is really the case. But outside ppl with bfa/mfa i don’t see this happening with successful artists all that much. What i see instead is artists who are interested in a certain number of motifs or subjects and repeat them because they like them or because they sell. 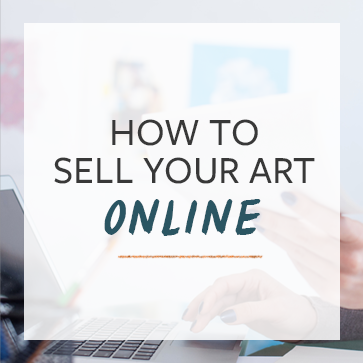 There are tons of artists on etsy that sell like this – FlorLarios, arziehodge, DragonStarArt, GrazvydaArt, michellefarro, LisaVanMeter, ChrisHagan, michaelbroad, DianaSudyka, mateasinkovec, Geninne, LupiArt, Coufeis, WatercolorMisfit, CharlotteMei, Tigersheepfriends. There are hundreds that i’ve found like this, and many of them have thousands of sales. Usually what unifies their work is style, but not always. What is really interesting is their stories about how they came upon success by accident. But something i found that most these sellers have in common is art that makes an emotional connection with their buyers. A good example is natasha wescoat. Her fans are overwhelmingly women and her subject matter reflects that. On etsy i see huge amounts of work that appeals to sentiment, romance, emotions. To be honest i generally don’t like art that appeals to these things, but the art market is a very different beast than the gallery system. Regular folks buy art for different reasons than gallery customers. I guess my point is that if you are reading this article you are interested in making money and there is a reality to the art market that must be understood and addressed by the artist. I don’t think working in series is practical for those who want to sell outside galleries, but i do think some general consistency in style and subject matter is important when all the work is viewed as a whole. Hi Simon, thanks for the response. I appreciate your perspective. Certainly its possible for artists to do well without working in a series. I do believe that its best to at least start your career by diving deep into specific ideas and giving yourself room to explore over a series of works, as I’ve outlined in the article. For what it’s worth, I’m very familiar with Natasha Wescoat. We’ve collaborated in several ways. Natasha built her enormous fan base through working on her fantasy tree series for more than five years. When she transitioned away from the trees, she moved on to a series of fantasy/zombie girls. When she introduced her other artistic projects, she had already built up a huge audience through working on a series. I’m not familiar with the other artists you mentioned, but I’m going to go check them out soon. Thanks for pointing them out to me! Cory, your most recent analogy to ‘types of cheeses’ (after your Paris visit) helped explain this idea of working in series. Basically, when we classify cheese, we place them in groupings of taste, or preference, to help guide an individual in making a choice. This is in effect, the same way movie genre works. Movie genre is better at explaining this concept, over Art genre, because it’s a classification system designed from the audience’s point of view. I may not ‘feel’ like a landscape or portrait, but I might ‘feel’ (note the emotional dimension) like watching a horror or melodrama. Lets use paintings by Natasha Wescoat as a common point to explain. Her early ‘landscape’ (art genre) paintings draw upon a more famous motif by Gustav Klimt, titled ‘Tree of Life’. The stylistic curling branches, circular leaves, and warm, earthy palette – used by both Klimt & Wescoat – evoke an autumnal mood. The image hints at sadness, the loss of life, as a deciduous tree passes into its cycle of winter death. If this image were to be placed in a movie genre, it would fit in the Melodrama category. Namely for its ability to exaggerate an emotional connection. Wescoat’s more recent series draws upon the same melodramatic theme of ‘big innocent sad eyes’, again drawing from another artist, made most famous by Tim Burton’s film titled ‘Big Eyes’ – a beautiful film released 2014, about an artist’s struggle for recognition. My opinion on the subject of series centers around the understanding of the difference between repetition and theme. Paintings by Wescoat are repetitious, with little variation on theme. The series is confined to one motif or subject. 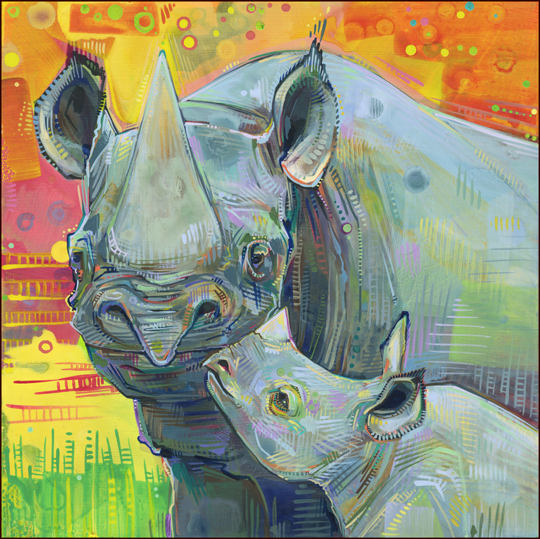 On the other hand, the artist Gwenn Seemel, is a better example of series, where the subject is animals. Elephants, for example, may prove to be most popular (they often are! ), and the artist may choose to “do more elephants”, but this would then take the work out of series. A film maker, say like Tim Burton, becomes famous for a style and genre. If Burton made a bright and happy movie, we might hate it, because we expect only dark and moody themes from him. But if Burton only made Batman film after Batman film, we might also become tired of this subject. In my view, how the artist finds a balance between consistency and creative exploration is the big question being addressed here. The movie genre analogy is perfect Philippe. Thank you! Wow, I love this article, especially the point about crafting a story that journalists/publicists can get on board with. This goes beyond just “publicity”. The press likes stories because stories communicate to people in a very effective way. As artists, we can communicate with our audience more effectively by organizing our work into series. Everything I have researched keeps telling me how and why to create a series… I know HOW to CREATE a series, what I desperately need to know is what to do with that series? Do I hide away each piece until the series is finished or do I list them? Do I post them but not hang them? Do I keep them unavailable for sale until the series is complete? Or can I sell them on a hold basis, where the buyer cannot have the work until the series is shown? SOOOOOO MANY QUESTIONS! If I spend months working on a series but keep it hidden then there are months with no new work to show. (I also own my own gallery so that means there are months with the same old thing hanging in the space, no reason for return customers). But then the last series I worked on, I hung 1 my first piece to preview what was to come and posted the images of each subsequent work on my website. Bitterly sweet I sold 3 of them… so after months of work I had no complete series to open, exhibit and make a big hoo-hah about. I am completely lost in this area and would love some help please!!! Tanya, these are great questions that I would also love to get some answers to! Hope someone can help. I’d suggest prints might be your salvation here. Keep the originals but display them as a teaser for the opening show – but also, after they start to sell, think about also selling prints of the work that has already sold. Best of both worlds! Yes, this is what I have done in the past. Number your prints and offer your clients first option at aquiring the same number for the entire series……..even although the series is not finished yet. I really like what you said about how creating art in a series will make the artist think deeply about the subject. My grandmother is an avid painter, and she focuses on religious pieces. I’ve seen her work, and they’re great! At this point, she already has a wide collection of one-offs; never a portrait series. I think this is something she can definitely explore. Thanks for this really informative piece about the importance of creating art in a series! Love your advice! Thanks sooo much. I would always wonder why as artists we must stick to a series (of series) but it’s so much more evident to me now. Cheers!